Nintendo TV is now available to view in 3D. The show (which is handled by Future Publishing’s Official Nintendo Magazine team) was first made available on Wii 18 months ago, and has been viewed over 1m times. The 3DS version first appeared before Christmas and its second episode goes live today (Friday, January 27th). Each free episode is available via the Nintendo eShop and lets users view 3D videos of the latest 3DS?games, behind-the-scenes footage, competitions, playing tips and 3D shorts. The second episode features Resident Evil, The Last Story, Pullblox and 3D Classics Kid Icarus. 3DS owners can now access free Wi-Fi at over 5,000 hotspots across Europe thanks to a deal with free-hotspot.com. Providing the correct settings are in place, the handhelds will automatically connect when within range of a compatible hotspot. free-hotspot.com has partnerships with companies such as McDonalds, Burger King, KFC, Subway, Ibis Hotels and Etap Hotels. “With such an extensive European-wide Wi-Fi access network, partnering with free-hotspot.com made absolute sense,” Nintendo’s MD of European marketing and PR Laurent Fischer stated. With a new month comes a new selection of downloadable games for which you can exchange your Club Nintendo Coins. The new lineup is half as varied as those of previous months, offering only one DSiWare download and one Wii Virtual Console game. For 150 Coins each, you can choose Art Academy: First Semester for DSiWare (but only available on 3DS through this offer) or Mario Party 2 for Wii. If you get that one, use the money you saved by buying it with Club Nintendo money to buy some extra controllers, either for friends or to replace the ones ruined byMario Party. For fans of physical, tangible goods, there's also this new 3DS card case. It holds 18 games and includes four "double-sided card covers." And it looks really nice. Despite using more electricity than a Lady Gaga performance and being the size of a small cathedral, the Game Gear was a pioneering handheld system than did many things better than its contemporaries. Twenty-two years later, the heart and soul of Sega's plucky little handheld lives on in the Nintendo 3DS Virtual Console. Shinobi and Sonic Triple Trouble have both been rated by the ESRB for the 3DS, which indicates that the ports are close to, if not entirely ready for release. If you had told us 22 years ago that someday we'd be playing Sega games on a Nintendo handheld, we'd have pushed you off the monkey bars. Nintendo has slapped up three new games on its digital stores in this week's downloads update. Swapnote - Read the latest edition of Iwata Asks for an inside look at Swapnote, a new application that allows Nintendo 3DS owners to write, decorate and send handwritten 3D notes to people on their friend lists via SpotPass and StreetPass. Swapnote is available to download from the Nintendo eShop at no cost. Starting this week and for the next 4 weeks all sites on the DCEmu Network are to be revamped and improved where possible. Martin our server admin has pulled out some tricks for SEO which should help us get back into google, a position we lost on a lot of pages when the site was hacked and then upgraded to VB4. THQ has said it has no further plans for uDraw after it revealed that the failed expansion of its tablet peripheral to PS3 and Xbox 360 has cost it $80 million in lost revenue. Speaking during an investor call after the publication of its dismal third-quarter results, the publisher said it had shipped a million uDraw tablets to retailers, leaving 1.4 million units of manufactured stock left unsold. "We were confident that uDraw would resonate again this holiday, given last year's robust sell-through," CEO Brian Farrell said, according to Gamasutra. "Our confidence was misplaced." The publisher says this misplaced confidence cost it $100 million in lost revenue, of which $80 million was directly attributable to uDraw. Of its $54.6 million operating loss, the tablet was responsible for $30 million. Manufacturing has ceased, software support is a thing of the past, and while Farrell says THQ has a plan to successfully sell the remaining stock he admitted it has "no other remaining committments with respect to uDraw. "We were looking at uDraw as a bridge to this core and digital future, and that bridge turned out to be a plank that we walked off." Despite the strong performance of Saints Row: The Third - the publisher shipped 3.6 million units of the game during the quarter - sales revenue fell 2.9 per cent to $305.4 million. Net losses almost quadrupled, to $55.9 million. Last month THQ confirmed its withdrawal from the licensed kids' game market. Earlier this week the publisher announced 240 layoffs across its publishing and admin teams, and Farrell took a year-long 50 per cent pay cut, in a bid to raise its share price and stave off the threat of a Nasdaq delisting. If you're near Los Angeles on February 10, and you're eager to celebrate the upcoming release of Rhythm Heaven Fever, you can party with other like-minded people at the iam8bit gallery. Nintendo, Giant Robot, and iam8bit are teaming up for a launch event, at which attendees will be able to play the game (with headphones, hopefully!) and pick up custom swag. Go find out who else in the world dares to play a rhythm game about interviewing wrestlers and playing airplane badminton! Nintendo's never sent me a Club Nintendo bonus for review before, and I thought it was kind of odd when one arrived. But I don't think there's ever been a Club Nintendo bonus this nice. The 3DS Game Card Case is both beautiful and genuinely useful, holding 18 DS or 3DS games in a case the size of a single DS game box. That's a rarity among DS game cases. The transparent case comes with four reversible covers, for a surprisingly versatile look. I grabbed some random DS and 3DS cartridges from my desk, stored them in the case, and took some pictures so you can see for yourself. THQ has revealed how it plans to offload the 1.4 million unsold uDraw units responsible for dragging down it latest quarterly financial report.A spokesperson for the publisher told Kotaku that, to the best of their knowledge, the leftover stock is not being dumped.Instead THQ hopes too offload the devices at a greatly reduced price tag, "perhaps at non-traditional game retailers and discount stores. "Just how much it's willing to knock off the original £69.99 RRP, THQ didn't say. However, Amazon is currently selling it for £23.97.Yesterday, THQ CFO Paul Pucino admitted that disastrous sales of the device had resulted in a whopping $100 million revenue shortfall which contributed in no small way to a $55.9 million quarterly loss for the publisher. Martin our server admin has worked on our Nintendo DS Site and revamped it with new features and cleaned up the look of the site removing unwanted features and bringing much needed SEO optimisation into the fold. Our Nintendo DS Site has nearon 7 years of news from the days of rumours into reality and much more. Another of the DCEmu networks biggest sites was revamped yesterday with the new improved look and better SEO. When you click on the right hand column now you stay on the site and not redirected to the forums for older news and muchmore. Nintendo's 3DS was the dominant force at Japanese retail last month, its games occupying the top three spots and half of the top ten overall. Leading the pack was Mario Kart 7, with sales of 388,760 units between December 26 and January 29, according to Enterbrain data passed along by Andriasang. In second was Capcom's Monster Hunter Tri G, with sales of 319,037, ahead of Super Mario 3D Land, which sold 298,529 units during the month. All three have now sold in excess of a million copies in Japan alone. Any gamers in the US ticked off that their copy of 3DS survival horror effort Resident Evil: Revelations sports a stonking great typo on its spine can request a new sleeve, publisher Capcom has announced.According to the Capcom Unity blog, should your copy feature the error, you can either call in on 650-350-6700 or email accounts@capcom.com for a replacement inlay.The publisher confirmed that only the first US shipment of the game is affected and all subsequent pressings will correct the mistake.The latest entry in the long-running zombie franchise launches in the US tomorrow, following its UK release late last month. "The single-player isn't quite the survival horror comeback Capcom promised but, with its brilliant take on score attack, Raid mode ensures Revelations delivers at least once on its title," read Eurogamer's 8/10 Resident Evil: Revelations review. Tonight Martin has added to the list of DCEmu sites that have been revamped and upgraded, tonight its the turn of our WiiU site a site that promises to have all the latest info and more on Nintendo`s new console as news comes from Nintendo themselves. Activision and Double Helix have announced a video game adaptation ofBattleship, the Hasbro Studios/Universal Films adaptation of Milton Bradley'sBattleship. Set for an April European release and a May North American release, Battleship will combine aspects of the classic board game with FPS gameplay. It will be available on PS3 and 360, with "uniquely designed versions" released for the Wii, DS and 3DS. The player takes on the role of demolitions expert Cole Mathis, who somehow finds himself in charge of an entire naval fleet and must use said fleet to defend the Hawaiian archipelago from underwater space aliens. This is a separate storyline from the film -- however, given the abundance of extraterrestrials and a severe lack of white and red pegs, we figure it's still set in the movie's universe. Gameplay is split between FPS sections and a "Battle Command" map, which is somewhat akin to the classic Battleship grid we're all familiar with. Here's hoping for Electronic Talking DLC on day one. Playstation Whata? Through February 12, GameStop has Nintendo 3DS systems, including the Pearl Pink version launching on the 10th, on sale for $149.99, a $20 discount. We're sure the timing of this sale is perfectly innocuous -- it's just a coincidence that a competitor's handheld gaming system will be in stores two days after this sale is over. Alternately, you could think of that $20 as a subsidy for the Circle Pad Pro (also out this week, only at GameStop) allowing you to pick up two analog pads for the price of one. "Giants is the idea for the future," Toys for Bob CEO and development lead Paul Reiche III told me during an interview this morning, just ahead of this weekend's Toy Fair 2012. His company's latest project, Skylanders, is up for an award at the big show, not to mention an award or two at DICE 2012 (also this week), but he's already looking into the future. To an extent, at least. "In terms of the Wii U, we're looking at it," he said in response to a question regarding the Wii U's recently announced NFC functionality -- functionality that's very similar to that found in the RFID-enabled Skylanders. "All of the details about the NFC technology haven't been released to the public yet, and it's really interesting," Reiche added, but he wouldn't budge on how much experience his company had with the Wii U's tech just yet ("I can't talk about that, I'm afraid."). As for that otherSkylanders game that was announced today -- the mobile one -- Reiche was able to be a bit more verbose, though not much. 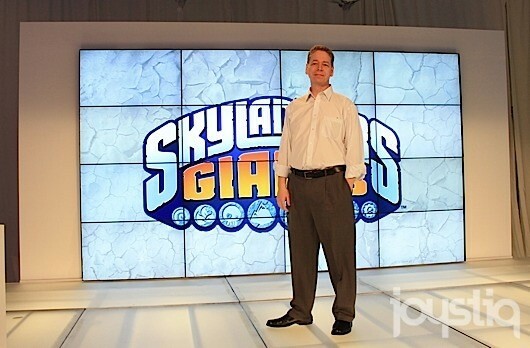 "We will be having new mobile associated with Giants, but we are also still working on a very fun experience using your toys in the Skylanders world that's for mobile," he told me. So, two games then! "I played it, I like it, I don't know what its release schedule is. This one isn't being implemented within Toys for Bob," Reiche added. So, how does it work? Reiche couldn't get too specific, but he did say it'll use the web-based Skylanders experience to draw information to the mobile game. "No NFC phone necessary. We want anyone to be able to enjoy it. We want someone who just buys a toy to have a meaningful experience on someone else's mobile device." Shoe company Converse, famous for its iconic All Star High Top trainer, has collaborated with Nintendo on a Mario-themed sneaker. Converse Japan's Super Mario Bros. X Converse One Star Ox shoe (we're not entirely sure why Mario All Star didn't make the cut) comes in white, or black, and red with a pixelated Mario sprite and inset yellow star. They'll be available to buy in March. While we're on the subject of videogame-themed clothing, Black Milk has also created this Mario Star swimsuit and some Tetris leggings. This year's Call Of Duty game will bring "meaningful innovation" to the series, according to publisher Activision. The claim comes from Eric Hirshberg, CEO of Activision Publishing, who was speaking during an investor call following the release of the company's fiscal results. "This year, we expect to further expand our presence with the launch of an all-new epic firstperson shooter title under the Call Of Duty brand," he said, according to Eurogamer. "From what we've seen, it already looks fantastic and will bring meaningful innovation to the franchise. I could not be more excited." The company has more immediate plans for Call Of Duty: Elite, the social, stat-tracking service that has amassed 1.5 million paying subscribers since it launched alongside Modern Warfare 3 last November. "We plan to keep our foot on the gas with Call Of Duty: Elite," he said. "Although we are pleased with where we are today, the obective of Elite is to make the total Call Of Duty experience more fun and more engaging, and we plan to launch additional features in the next 60 days. "We're already hard at work on Elite 2.0, with several innovative features being developed to work hand in hand with our next Call Of Duty release." It was a good final three months of the year for Activision, with last year's $233 million loss wiped out and the company posting a profit of $99 million (£62.5m). Full-year revenue totalled $4.7 billion (£3bn), with net profit more than doubling to $1.1 billion (£688m). 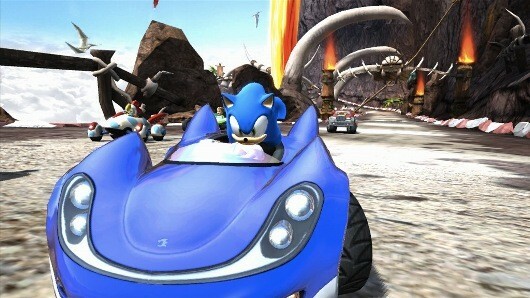 Sega plans to release a sequel to 2010's Sonic & Sega All-Stars Racing, the kart racing game originally made for Xbox 360, PS3, PC and DS, at the end of this year, Kotaku reports. The New York Toy Fair outed the sequel with a display of new toys (At a toy fair? Surely not. ), and an attendant confirmed its development. New characters and vehicles will be announced later this year, Kotaku says, some time before the holidays, we assume. It's funny how good news for JRPG fans is also often bad news for eBay moguls.Radiant Historia, a DS-exclusive time-travel JPRG from Atlus (which routinely auctions for $60 plus) is being reprinted and redistributed in North America, although this reprint will not include the soundtrack bundled with the original run. Pre-orders are starting to pop up at various retailers, and Atlus is urging interested parties to take advantage of the opportunity before the new batch hits store shelves in late March. Considering that Atlus has not released specifics regarding how limited of a reprint this is, if limited at all, we recommend erring on the side of caution (and a $35.00 price tag) rather than taking your chances on an uncertain, seller-feedback-oriented future. Los Angeles' iam8bit gallery played host to Nintendo last night, as the two companies launched Rhythm Heaven Fever with a full scale party. There were plenty of demos of the game on display, live painting by artists Yoskay Yamamoto and Mari Inukai, a live DJ spinning tunes, and a few photo booths where players could dress up and pose, or even dance for a video running onNintendo's own site. The event was a lot of fun, and you can pretend you were able to be there by browsing through the gallery below. iam8bit always does a great job with these events, and co-founder Jon Gibson promised us there's lots more on the way: He's currently working hard on the leetUP event that iam8bit is co-hosting at the beginning of next month, and says VIP tickets for that one have sold out already. We'll be in attendance, so stay tuned for more. Super Mario 3D Land director Koichi Hayashida will present a postmortem talk at GDC entitled "Thinking in 3D: The Development of Super Mario 3D Land." Attendees will be required to cross a pit of moving blocks while being chased by evil purple versions of themselves in order to attend. Or, what will actually happen is that Hayashida will discuss developing for 3D devices, and "share development philosophies learned from Mario creator and legendary Nintendo designer, Shigeru Miyamoto." Another 3DS-centric talk is "Revealing the Truth About Resident Evil Revelations," presented by producer Masachika Kawata. And Cave COO Mikio Watanabe will discuss "Retro and Japanese Social Games on Smartphones," bringing attention to the company's recent endeavors in porting crazy shmups to iOS. This is my first program. You are a Snake eating dots that make you bigger and faster. Thanks to everyone, who made this programming possible mingw-team, sdl, an a big thanks goes to Michal B. with his source code inspiration. And a really big thanks goes to my big beta tester BlackCat! Chrono Trigger Romanian version released! After about a year and a half of hard work, Chrono Trigger has finally been fully translated into Romanian. This could not have been possible without the effort and dedication of my fellow team mates over at Dynamic-Designs who helped make this possible. The release of this translation also signifies the start of D-D international. So you can continue to expect great quality releases from D-D in both English, and now other languages as well! Keep posted and check out the news! FlashcartHelper, by GBAtemp member Punyman, has been updated to version 0.9. This Windows application is a utility to be used for setting up and updating your flashcart's firmware with ease. It supports a wide variety of popular carts, including Acekard, Cyclo, DSTT, iSmartMM, R4 and clones, M3, and Supercard DStwo. For instructions and more information about this project, please join the on-going discussion linked below. Frec is a custom replacement for del and is licensed under GPL v3. It replaces many delete functions, and instead of deleting, it moves files to a "Trashes" folder. GBAtemp user uomoartificiale has recompiled ScummVMDS v1.2.1 with a small modification to the code. 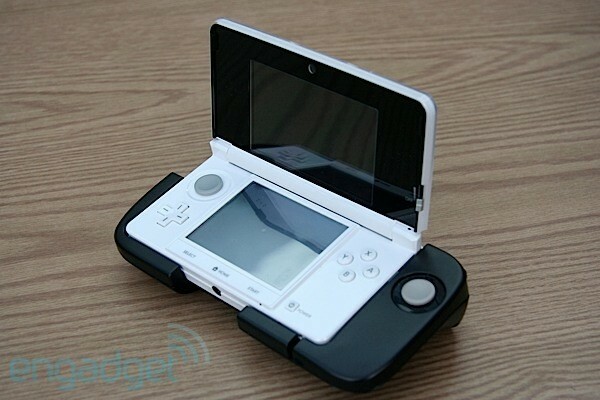 His mod fixes touch screen compatibility issues on the 3DS. He has applied the same mod to the official v1.4.1 build, however this build has not been optimized for the DS and may included unsupported games and engines. AppleAssault, a platformer styled homebrew for the DS made by PypeBros, has been updated to version 1.5, and dubbed as BerryBat Things. See the authors release notes below for a full description of the game, and check out the project's page for more information. Insect Combat is a Virtual Boy fighting Homebrew that is in active development. This update adds a custom font and updated text. The developer of this project is interested in community support. If you have programming experience and want to help complete this project then get in contact with the developer via the source link below. Duyumania is a puzzle platformer game by Cuesta that started off as a homebrew project, and evolved into what was meant to be a DSiWare title. After several submissions the game remained unpublished, so he's decided to release the finished version for all to enjoy freely. The game is very polished and could definitely hold its own compared to commercial titles of its genre. - 100-in-1 (D-CAT8 8bit Console, v5.01.11-frd, BL 20041217)(Unl)[U][!]. Thanks again to taizou for providing a couple of unusual carts to dump. These carts are incompatible with regular Famicom console, and intended to work with special hardware based on the OneBus system, which is in other way can play normal carts too. All these carts are the same pinout and mostly the same form-factor, but system its running may be different. But first, dumped another one TV game console, small portable "D-CAT8" console with 100 games inside. There is no games with extended PPU support, have some unknown or known hacks or the regular games, and some original simple games already dumped with DreamGear 75-in-1 TV P&P console. All the CONTRA fans, first one game - another one hack of Super Contra. - Power Joy Supermax 30-in-1 (Unl)[U][! ], Power Joy Supermax 60-in-1 (Unl)[U][!]. Two next carts are from Power Joy TV system, with it's own plastic cases and games are incompatible with regular OneBus sistem due to some registers swapping. I've added some checksum recognition for these dumps to have it working on the normal OneBus mapper. Games are mostly original games, some of them are known already, some are new. - Power Joy Navigator 50-in-1 (Unl)[U][!]. The rest of bunch, the same Power Joy compatible cart, but system itself is a normal OneBus system, so they works fine on normal mapper. There is no extended PPU games on all of these three carts. - 4-in-1 (BS-8088)[p1][! ], 4-in-1 (FK23C8021)[p1][! ], 4-in-1 (FK23C8033)[p1][! ], 4-in-1 (FK23C8043)[p1][! ], 4-in-1 (FK23C8052)[p1][! ], 4-in-1 (FK-8008)[p1][! ], 4-in-1 (FK-8050)[p1][! ], 4-in-1 (KT-3445AB)[p1], 6-in-1 (FK-3004)[p1][!]. Some people helped me to find another bunch of multicarts with graphical menus requested by me recently, so there is much more of them dumped. The next to last dump is not mine ("4-in-1 (KT-3445AB)[p1]"), it was dumped by our chinese friends and can be found in nongoodnes packs. The last one ("6-in-1 (FK-3004)[p1][!]") isn't the regular "4in1" but with the same font, so must be from the same authors. - 15-in-1 (GA23C8003 PCB)[p1][! ], 15-in-1 (GA23C8003 PCB)[p2][! ], 2-in-1 Super 808 (Unl)[p1][! ], 3-in-1 (8096 PCB)[p1][! ], 4-in-1 (K4303)[p1][! ], 9-in-1 (860824 PCB)[p1][! ], Gold 7-in-1 HIK (AK456, 8195 PCB)[p1][! ], Golden 7-in-1 (ML-600)[p1][! ], King Series Super 4-in-1 (K4M03)[p1][! ], Super 1998 3-in-1 (NT-008 PCB)[p1][! ], Super 1998 3-in-1 (VT-850, NT-008 PCB)[p1][! ], Super 4-in-1 (KG899A PCB)[p1][! ], Super 4-in-1 (KG899A PCB)[p2][! ], Super TV Game 2-in-1 (VT-414 PCB)[p1][! ], Super TV Game 3-in-1 (VT-414 PCB)[p1][!]. Just for fun dumped most of my own multicarts wich have known mappers, like 45, 52, 176 or 215. There is two dozens of dumps left unemulated, but using two or three same mappers, which I planned to emulate and release later. While dumping, I found that old mapper 52 info just a little incorrect. So some recently dumped directly from EPROMS multicarts doesn't working properly. Now, I've fixed mapper 52 code and redumped all my carts for it. There is just one old mapper 52 game left in goodnes - 7-in-1 Mario games. New fixed version of that dump is working fine too. Intermediate version Nintendo GameCube and Nintendo Wii emulator for Windows has been updated. The latest issue of gaming magazine EDGE features an article in which a small sentence not only hints at a western release for Monster Hunter Tri G, but also at the added inclusion of an online play mode. Note that there is no official statement from Capcom concerning the addition of an online feature or even a localisation as of now, so this is still to be treated merely as rumours. Still: Let the speculation begin! elisherer has updated his level editor for the 3DS title Pushmo/Pullblox to version 1.3.1. This tool allows you to import an image or create your own pixel art and export your level to a QR Code/Card for you to share online. elisherer has updated his level editor for the 3DS title Pyramids to version 1.5. This tool allows you to place any of the game's objects on the five backgrounds and export your level to a QR Code/Card for you to share online. Also check out the card pack, which has a bunch of cool levels included, such as a Space Invaders-themed one. Xcution has released version 0.2 of Project CiTRUS, a PC application to design/output 3DS banner and icon files. Commodore has released version 1.1.0 of Super Smash Bros. Charged, a new Super Smash Bros. clone. Allright, here is why I named it "Charged". In this version, you can charge up your projectile weapon using the "B" button. Let go when the sound changes and watch the fun! Oh, and I also fixed the Player sprite somewhat(I still need some help with this, please). pandavigoureux29 has released a demo version of YoshiDS, a remake of sorts for Yoshi's Island. It's pretty damn cool. - 3in1+ support. opera works, gba launch from psram/nor works, even rumble in some games works. big thanx to mbmax for testing. Sadly, this and its predecessor remain Japan-only. Hopefully some developer picks these up for Western releases. Subaru, Ignismare and Akira have released revision 4 of Clash of Gods TCG, a fantasy-based card game for the DS. It tells the story of an epic war waged by the powerful Humans and the savage Beastmen. It’s a simple little independent project with a very small crew fighting against all the possible problems in the world to bring you one of the most fun card-based fantasy experience you can expect, and all that without a penny spent . Since I wrote it, dswifi and libnds’ videoGL API have been ported to FeOS. A new cooperative multitasking library called MultiFeOS has been added. There’s also a new website and forums. The hosting is generously offered by mtheall, so thanks to him! A new build from the NES emulator FCEUltra-Win32-mappers-modified has been released. This emulator is based on FCEUltra source code snapshot (fceu-0.98.13). 2) Find the key to can then open the door to the next level. dj_skual proposes the revision of 120 " Savegame Manager GX "Backup Manager for Nintendo Wii Savegame Manager based on Waninkoko. 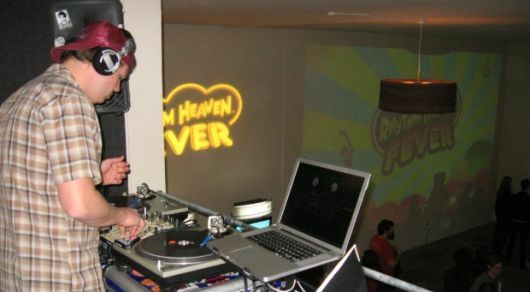 Izhido proposes the release of two " Rev. Quake PAK ", simplistic interface combining the different Quake engines already available for the Nintendo Wii. Rev. Quake PAK is a collection of gaming engines, related to the Quake series of games by id Software, modified to run on the Nintendo Wii, using the popular devkitPPC toolchain for homebrew development. Release 2 is out! Notable exchange include: CD music tracks playback is now available! Copy your Ogg Vorbis-encoded tracks from your original Quake & Quake II CDs Into a * \ * folder inside cdtracks Both your * \ ID1 * and * \ * folders baseq2 to enjoy the original soundtrack CD of your favorite games. NOTE: Please Ensure That Can Be the Tracks sorted by name. Also, There Is No Need for a fake Track 1, the engine will not look for it. Key aliases are finally out of beta! With the new "keyalias" command, accessible from the console, and Remembered in config.cfg, you-can map Every Single key in your controller (s) to Any Other one, so you-can configure your controller to follow your human needs. Quake Rev. PAK Will now remember the last game you Launched, and Will take you home To That upon entry. Have Been A Few bugs corrected, Including Where one Quake II and related games will not operate-Correctly With The Wiimote-Nunchuk combo control. Minor Stability Adjustments to the engines, So They use less memory, and crash a little less often. NOTE: the Quake II game engines and related Still Have A Few exits, goal less noticeable They Are Now. If your game crashes, and There Is a Chance That the engine finds out what Happened, It Will now create a file in _QRevPAK.err_ your media card, Containing the date / time the crash Happened, and the error message Explaining what Happened. The On-Screen Keyboard now Appears, in the Quake II game engines and related, only if you press the associated key for less Than 0.5 seconds . Makes playing Quake II batch cutting easier in Areas Where You Need to crouch. The launcher Provided the Following Will home games (provided That Their respective game data files copied Were Into the installation folder): Quake (using the Q1Rev engine) QuakeWorld (using the QWRev engine) Quake II (using the Q2Rev engine) Threewave Quake II Capture The Flag (using the Q2CTFRev engine) Visit EACH page in order to learn to set-up and play the games. Pasofami v1.6l is released. Pasofami a japanese NES, SNES And GameBoy emulator. To Pasofami but there was from the previous library management feature, which has been improved dramatically now. There can be various types of data in the computer (ROM files, video files, sound files, etc.) You can search the finds within it, to create a library of your own to run (function launcher). Once you have registered with the "Favorites" There are many frequently used data, you can touch to launch your favorite number. There is a description of how to use the manual library management. In order to determine whether correct or incorrect content dumped at the time the draft was completed, (NES, SNES, Megadora, Game Boy) about, but had to display a message to that effect, for the game other than this did not display anything. Therefore, for "Game Gear", "MSX", "PC Engine", "Nintendo 64", "Game Boy Advance", "master system", "Neo Geo Pocket", in turn, CRC will not match equipped with a database was to display a message lever, to that effect. 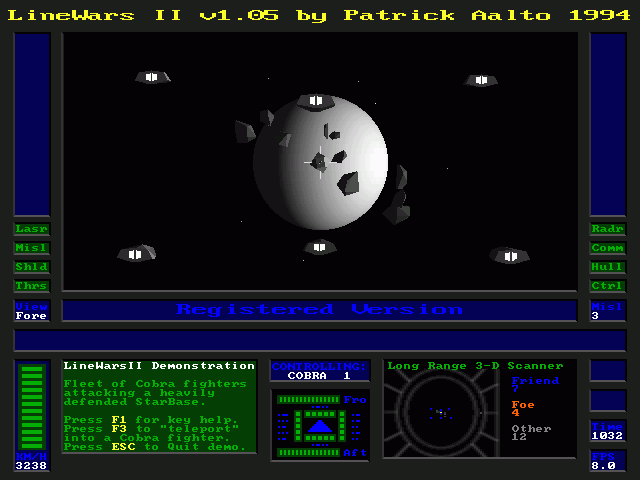 You may also display the title of the game at the same time. However, it is not equipped for the title because the database is not equipped with only part of the title that is commercially available is sometimes the message does not appear even though the match CRC. ● Displays the confirmation message if the file is already of the same name when you save dumped. Now, if you want to save, if in the same folder as the file of the same name already exists, file this with the contents of the file size of files that have been saved, the last already the size of the files and the date and time that you saved earlier, expected to save the time display to see if it matches the contents of, and waits for a response of whether you want to save. If the response is a response to save if you want to save, cancel, save or cancel. Was corrected state because it was NES, SNES, Game Boy is not pressing both buttons for "battery backup feature" in the suction screen. • Fixed point because there was nothing appears in the four dots at the bottom of the screen play. lsnes rr1 delta 1 is released. lsnes is SNES rerecording emulator based on bsnes core. - Build the win32 build with compat core instead of accuracy. Using compat core instead of accuracy gives about 2x speed and should only affect Air Strike Patrol (which uses graphics effects Compat can't emulate). DeSmuME SVN r4178 is released. DeSmuME is an open source Nintendo DS(NDS) emulator for Linux, Mac OS and Windows. DeSmuME supports save states, the ability to increase the size of the screen and it supports filters to improve image quality. DeSmuME also supports microphone use on Windows and Linux ports, as well as direct video and audio recording. The emulator also features a built-in movie recorder. NRage Input Plugin SVN r59 is compiled. NRage Input Plugin is the Best N64 Emulation Plugin. NRage Input Plugin is for use with an N64 emulator that supports input plugins through Zilmar's input spec. Some emulators that support it are: Project64, Apollo, 1964, TR64. applies MeejVaj's XInput Conf Patch, now xinput device settings do not require reassigning every start. NESICIDE v.6 is released. NESICIDE is an Integrated Development Environment for the 8-bit Nintendo Entertainment System (NES). NESICIDE is a NES development application written with MFC and works only on Windows. The goal of NESICIDE2 is to bring this application into the modern age; it will support all 3 major platforms, as well as feature an easier to use interface. It will also have a community element that will allow users to share code, multimedia, and even entire projects/games. This is a new project and much is left to be done. Project64k v0.35 is released. Project64k is a version of the Project64 emulator that supports multiplayer games using the Kaillera network. Final release for base 0.13 core 1.4. So until 1.6 or 1.7 source is public, no more updates. Also, for future notice, this does not work with Goldeneye, Perfect Dark, Donkey kong 64, Any mario party, mario golf, mario tennis. IF you want to play those games go get mupen. For roms look down at the bottom for n64 rom searching. Fceux SVN r2396 is compiled. FCEUX is a cross platform, NTSC and PAL Famicom/NES emulator that is an evolution of the original FCE Ultra emulator. Over time FCE Ultra had separated into many separate branches. The concept behind FCEUX is to merge elements from FCE Ultra, FCEU rerecording, FCEUXD, FCEUXDSP, and FCEU-mm into a single branch of FCEU. As the X implies, it is an all-encompassing FCEU emulator that gives the best of all worlds for the general player, the ROM-hacking community, and the Tool-Assisted Speedrun Community. 1964 SVN r112 is compiled. 1964 is a free Open Source N64 Emulator. It is one of the top Nintendo emulators arround that you can get with a high game compatibility rate. 1964Video, turn off D3D ZBias only for Diddy Kong Racing since it was causing problems with other games. Nintendo has acquired Mobiclip, a French company specialising in video compression technology. Gamasutra reports that the deal was actually completed last October, but has only just been announced. It gives Nintendo access to Mobiclip's technology, which handles playback of high-quality video with low battery consumption and which it has previously used in the Game Boy Advance and DS handhelds. Other clients include Sony and The Carphone Warehouse, both of whom have used the technology to play high-quality, full-length movies on smartphones from MicroSD cards. Lucasfilm has renewed its licensing deal with the Lego Group for 10 more years, meaning if you have a kid right now he can grow up with a guaranteed supply of Lego Star Wars video games and toys. If you don't have a kid any time soon, look at this as an opportunity to delay growing up for another decade. 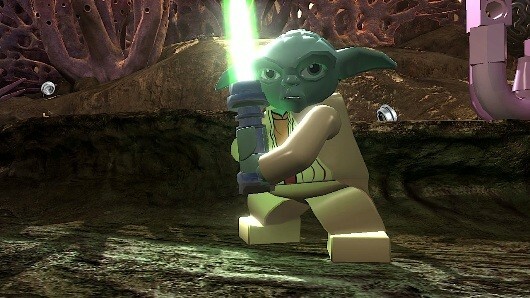 Lego is currently developing products based on Star Wars: The Old Republic, and will be following up its most recent Lego Star Wars video game, The Clone Wars, some time during the next 10 years, we'd guess. The Lego Star Wars series has sold more than 30 million units worldwide since its launch in 2005. Nintendo has priced its first wave of downloadable content for its 3DS handheld at under £1. The 3DS photo edit app, called Tobidasu Print Club Kiradeco Revolution, can now include a set of custom picture decoration tools if bought online for ¥100 (81p). Last year, Nintendo chief Satoru Iwata warned developers that the high quantity of low-priced content – specifically on mobile games platforms – puts the value of games at risk. But the Tokyo headquartered company is now keen to make its digital platforms more appealing to both customers and developers. In a rare occurrence, download sales figures have been released a Nintendo platform. A report from Forecasting and Analyzing Digital Entertainment estimates that $11.1m were spent on digital 3DS titles, encompassing remakes from Virtual Console and 3D Classics and original 3DSWare titles. The most popular game was The Legend of Zelda: Link's Awakening, which was downloaded 338,700 times and generated $2.3m, according to CVG. Nintendo titles dominated the Top 10, with Gameloft and Poisoft as the only third-party publishers listed – each with only one title. A new Splinter Cell game is due to arrive this year, according to an apparent 2012 Ubisoft release schedule. UPDATE: Ubisoft has rubbished said schedule. If the list is to be believed, Assassin’s Creed III will arrive on PS3, 360, Wii U and PC, as expected, while Just Dance Final Party will also hit shelves this year. It also claims free-to-play title Ghost Recon Online will arrive on Wii U as well as PC. The games are part of a supposed 2012 Ubisoft release schedule listed on Gameranx. However, a Ubisoft statement read: "We’re thrilled and kind of amused to see this line-up news. It shows that players are anxious to hear about Ubisoft's upcoming releases. This reported line-up is inaccurate. "We guarantee you that you’ll hear directly from us soon about the amazing variety of games Ubisoft has slated for fiscal year 2012-13." Nintendo beefed up its proprietary arsenal yesterday, with the acquisition of Mobiclip -- a Paris-based video codec provider. As Gamasutra reports, the deal was actually finalized back in October, but only became public this week, when Mobiclip confirmed its new ownership on its website. The company already has a history with Nintendo, having lent a hand with video rendering and playback on the DS andGame Boy Advance. Now that it's officially under its wing, Mobiclip will reportedly collaborate with Nintendo on its forthcoming Wii U, as suggested by a recently posted job listing for a "console software engineer." You waited too long. It was only a couple bucks, but you thought, "I have time. It'll always be there. I'll get to it eventually." But now you can't downloadTeenage Mutant Ninja Turtles on the Virtual Console and your world isdestroyed. Honestly, it was a weird goal to have, but we didn't want to say anything. In each and every region, it seems the turtles have retreated from the Virtual Console. 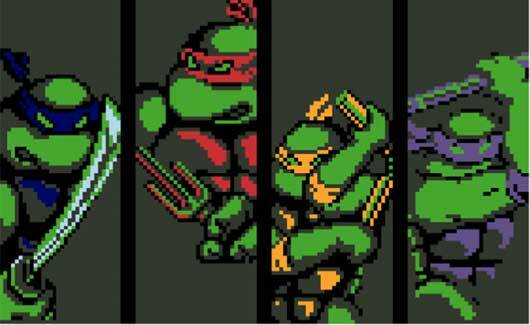 Nintendo World Report reports Konami cited an "expired license," the same issue that claimed TMNT Turtles in Time Re-Shelled. There's no word on whether the turtles will return to the surface any time soon, so we've contacted Konami for more. Nintendo has begun updating the downloadable NES games offered free to 3DS Ambassadors last year.European gamers can now log on to the 3DS eShop and update NES classic Super Mario Bros., Nintendo Life reports.Downloading the new version will add Suspend Points, allowing you to save your progress wherever you are in-game and reload it as many times as you like. Revolutionary stuff.It upgrades the basic "resume" function currently available.Super Mario Bros. is not the first NES Ambassador game to be updated, but it is the first one to recieve the Suspend Point function, present in other Virtual Console titles.Nintendo previously promised to bring all Ambassador games up to scratch in this way ahead of a future paid release to all 3DS gamers. Martin has revamped our Gamecube Site with all the latest new features and updated links for modchips and more on the Gamecube. Martin our server admin has updated our N64 news site which covers not only the Nintendo 64 but also the Snes and Nes, the site has all the new features our other sites have and also new links to portable snes and new n64 flash carts. Edge's Future Publishing stablemate Nintendo Gamer, formerly known as NGamer, has launched a new website. Nintendo-gamer.net will bring the magazine's honesty, authority and - it says here - "irreverent humour" to the web. An early highlight isthis gallery of dogs dressed as Nintendo characters. George Walter, Future's digital manager for games, said: "Nintendo-Gamer.net is what every Nintendo fan has been waiting for - a site that reflects the rollercoaster of emotions that comes with worshipping at the altar of Mario: the highs, the lows, the bemusement and the elation. “There’ll be news, reviews, features, videos, guides and endless attempts to convince you Majora's Mask is better than Ocarina Of Time, but above all we’ll strive to provide a daily updated celebration of the culture and community that surrounds Nintendo, its games, and its most beloved characters." We're intensely curious about how the 3DS port of Metal Gear Solid 3 turned out -- curious and worried -- and we're happy to have the chance to try it out without financial outlay. 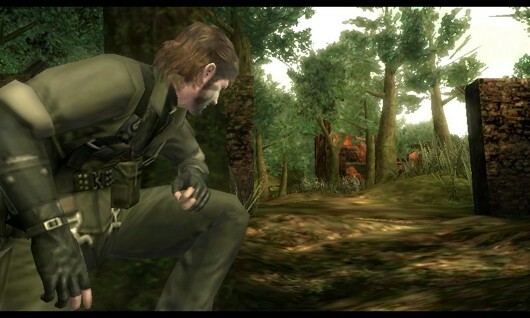 Nintendo is delivering on its promise of a Snake Eater 3D demo in North America this Thursday. Players will get to experience the beginning of the "Virtuous Mission," in which Naked Snake sets out through the jungle on a rescue mission. If you have a Circle Pad Pro, you'll want to connect it for this. Sure, we knew it was coming, but now Hulu Plus has officially arrived for the Nintendo Wii, letting you stream "current-season hit TV shows such as... New Girl and Vampire Diaries" in all their high standard-definition glory. We know, you're already caught up on all that New Girl action, but The Biggest Loser's latest win will look even juicier in gorgeous 480p SD resolution, so head on over to the colorful Wii Shop Channel to get your $7.99 monthly Hulu fix. Or, if you're not keen on paying for your teevee, you can download a two-week free trial of the service anytime within the first month of availability. And what about that 3DS version? You'll need to wait until "later this year," unfortunately. Full PR is just past the break. The Metal Gear Solid 3D demo arrives today, accompanied by relatively big news on the Virtual Console! The first NES Ambassador game for 3DS is now available for purchase by non-Ambassadors! Super Mario Bros. is on the eShop now for five bucks. And if you already have it through the Ambassador Program, you can get a free update to add multiplayer and save states! 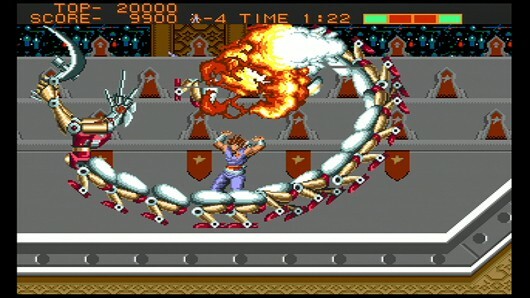 There's also news for the Wii's Virtual Console: the Genesis version of Strider can be purchased today. We hadn't heard about a Genesis VC game in a while, so we looked into it. As far as we can tell, this is the first Genesis game on Wii in North America since Sonic & Knuckles, on February 15, 2010. It's been two years and a day since the last Genesis VC release. In fact, this appears to be the first Wii Virtual Console release of any kind sinceThe Ignition Factor six months ago. Enjoy it! This doesn't happen very often. 3DS owners hoping to buy a copy of new release Tekken 3DS Prime Edition will not be able to purchase it from GAME or Gamestation. Eurogamer has confirmation of the no-show from the retailer. Although no official reason for the issue has been given by either GAME or the title’s UK distributor Nintendo, it is believed that it is likely down to ongoing supply negotiations between the retailer and its distribution partners. GAME was saved from disaster earlier this month when it entered into new agreements with lenders so as to ease the requirements of its credit agreements. A number of key execs from UK publishing have vocally backed the chain, recognising its importance to the health of the wider industry. However, with supply arrangements now being negotiated on a title-by-title basis, it is likely that there will be isolated issues with certain games for the foreseeable future. Newly uncovered Nintendo patents for the Wii U reveal some of the features the platform holder has considered for its new console. The most interesting of the filing's revelations is the possibility for the screen on the controller to don full HD resolutions (higher than currently revealed) and glasses-free 3D, like the 3DS. Both get our vote.The patent, dated September 2011, also details microphones that could be used for voice recognition in games, noting that "one or more additional microphones...may be provided on the front and/or back surfaces". Face recognition, via the controller's already confirmed front-facing camera, is also listed as a possibility, with facial data being stored on the console for software use. Web browsing is mentioned, along with the ability to connect to other devices with exchanges of "images and sound", which pretty much sounds like video chat. Users can seemingly also expect the controller to support expansions as is the case with the Wii Remote. The patent shows an example of a gun attachment that could use the small screen as a potential targeting aid, similar to the zoom scope screen on Silent Scope arcade cabinets. The patent does note, however, that "statements herein do not correspond to any particular actual product that may be eventually be made available to consumers," meaning none of these features may ever actually materialise. 3D screen, though - yes please. Ninja Gaiden 3 developer, Team Ninja has said recently that the Wii U hardware is currently changing "constantly". Full read/write, files of any size can be created, modified, renamed, moved, or deleted. NTFS-3G only supports partial journaling, so unexpected crashes or power loss can leave the file system in an inconsistent state. The only way to (correctly) fix it is to boot into Windows and let NTFS replay the journal; However, in most situations (read: it is not 100% guaranteed) this is not required and the file system can be remounted without problem. In situations where there has been heavy disc activity prior to the crash or power loss it is recommended you let Windows replay the journal before remounting with libntfs in order to prevent possible data lose and/or corruption. [h=4]SoundBlaster transfer system improvements[/h]Okay, during the past week I finally managed to rewrite the SoundBlaster data transfer routines for the new DSTwo transfer system I am using. Now I am happy with the method, it is much cleaner than before, and it handles all the various types of playing (auto-init, 8-bit WAV, ADPCM) properly. It can also support Direct DAC output, but I think my actual SB emulation does not support that yet. There are also other problems in the actual emulation, as Warcraft digitized sounds are still not working, but I believe those problems are in the actual emulation running on the MIPS side, not in the transfer system. [h=4]Bug fixing and VESA SVGA support[/h]After I got the SB audio working, I spent some time trying to get Command & Conquer running. I only got a black screen, with the HDD "led" blinking constantly. It took me quite a while to realize that the problem was not in the game looping, but instead I had broken the graphics blitting when paging is active in the 0.33 version! Sorry about that.. I broke it while moving the emulated VGA VRAM area into a physically different location on the DSTwo RAM (for the future SVGA support), and forgot that the paging routines still used the original memory address. Thus nothing was shown on the screen. A new version of the graphics plugin Glide64 for Nintendo 64 emulators has been released. r281 Add German translation file by ratop46. r280 Add missing string to French translation file. A new version of the frontend SSNES for the libsnes library has been released. libsnes is the emulator core of bSNES, the most accurate SNES emulator to date, in library form. This is minor release that fixes a critical regression on Windows, and two small features. [Windows]: Fix case where SSNES would not save SRAM properly when the game did not already have existing SRAM data. Add netplay player flipping. Allows players to flip which player is 1 and 2 on the fly. Add nicknames to netplay. Only used as cosmetics. More work on PlayStation 3/XDK 360 ports (Squarepusher). Orion Jones has version 1.02 of " Mot Mot Motus ", adaptation of the hit TV Motus for the Nintendo DS. spectrenoir06 offers version 1.2 of " Diamond ", puzzler / sokoban like for the Nintendo DS, in which you must bring the diamonds on their bases to complete the level. Thurs coded in lua, requires the latest version of the interpreter MicroLua DS to work. LS offers version 1.1 of " Snake ", an adaptation of the snake game for the Nintendo Wii. Corenting offers a demo version of " Daft DS ", adapting iDaft / AndroDaft (console of Daft Punk ) for the Nintendo DS. The project was completed in May 2011 but went unnoticed on the homebrew scene. This homebrew DS is an adaptation of iDaft / AndroDaft for the DS. This program is not finished yet. For now, only "Harder Better Faster Stronger" is available. Fceux SVN r2407 is compiled. FCEUX is a cross platform, NTSC and PAL Famicom/NES emulator that is an evolution of the original FCE Ultra emulator. Over time FCE Ultra had separated into many separate branches. The concept behind FCEUX is to merge elements from FCE Ultra, FCEU rerecording, FCEUXD, FCEUXDSP, and FCEU-mm into a single branch of FCEU. As the X implies, it is an all-encompassing FCEU emulator that gives the best of all worlds for the general player, the ROM-hacking community, and the Tool-Assisted Speedrun Community. * Taseditor: PATTERNS menu, loading data from "tools\taseditor_patterns.txt"
Nintendo's 3DS has set a new record for hardware sales in Japan, becoming the quickest system to reach five million sales. The glasses-free 3D handheld reached the five million mark within 52 weeks of its Japanese release on February 26 last year, according to Media Create data passed on by Andriasang. 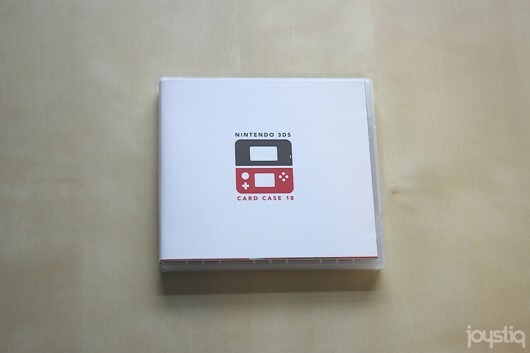 The record was previously held by 3DS's predecessor, DS, which took 56 weeks. Before that it was another Nintendo handheld, Game Boy Advance, which reached the milestone in 58 weeks. When will fans be hearing about the next game in the main Pokémon series? Possibly soon. That was the question pitched to Pokémon Black/White director, Junichi Masuda, during a recent Q&A session with fans, and his response was most tantalising.Without revealing any specifics, Masuda hinted that you should 'keep an eye on Pokémon Smash', the weekly Japanese TV show that airs every Sunday. To reinforce his teaser, Masuda followed up with a Twitter post again telling Pokepeeps to keep an eye on the weekly show or, if not, his Twitter feed. An announcement, it would seem, is imminent, although Siliconera notes that this weekend's episode of Pokémon Smash passed with no such news. But with 3DS now flying off Japanese shelves, now would seem a good time to talk about Pokémon's first 3D adventure. The rights holder of the Pokémon IP says it will take action against companies and individuals selling counterfeited goods based on its lucrative brand. “We continue to combat the unauthorised release of games, applications and merchandise that trick our fans into purchasing something that does not meet our quality standards,” The Pokémon Company told Develop. The group’s comments come days after two separate fake iOS apps together made thousands of dollars from fooling people into thinking they were genuine products. “Pokémon Yellow” and “Pokémon Pocket Edition” both managed to slip past the App Store approval process but customers immediately complained that both games were scams. Apple has since deleted both illegal apps. Yoot Saito's Dreamcast pet sim Seaman is headed to 3DS, according to reports. Andriasang brings word from Japan's Nikkei, which in a feature claims Nintendo is looking to revive games from thirdparty publishers' back catalogue for 3DS, giving Seaman as an example. Released in 1999, Seaman tasked players with raising the titular species using the Dreamcast's microphone, with minimal guidance except for sparse narration by Leonard Nimoy. Saito is currently at work on Level 5's 3DS collection Guild 01, which also features games from Suda 51 and Vagrant Storydesigner Yasumi Matsuno. Saito's game is called Air Porter, which casts players as "the man in charge at the airport [who] must expediently manage baggage." The premium SKU of Wii RPG The Last Story will not be stocked at GAME when it is released this Friday. In fact, the chain has been cancelling pre-orders for the Limited Edition, according to VG247. Emails have been sent out to anyone that ordered the product will be sent a standard edition instead. The Limited Edition comes in a Steelbook case and features a copy of the game, the soundtrack and an art book. According to GAME's Facebook page, the retailer "won't be stocking the Limited Edition", and that it "unfortunately had to cancel pre-orders of said edition". The Last Story arrives on Friday, February 24th and GAME will still stock the standard edition. It is a Japanese RPG from the mind of Hironobu Sakaguchi, the creator of Final Fantasy. GAME has decided not to stock a number of titles in the past few weeks, including Ubisoft's five Vita launch titles. Nintendo of Europe will broadcast its first Nintendo Direct video tomorrow. The video, going out at noon, will join separate broadcasts from Nintendo Japan staring boss man Satoru Iwata, and Nintendo of America featuring Reggie Fils-Aime.The US and Japanese broadcasts, which have been running for some time, usually discuss upcoming Wii and 3DS games. The broadcasts will go out on localised sites;here for Nintendo UK, here for NOA and here for Japan. In news earlier today, Nintendo announced plans to shut down the Wii Video Channel service before it ever saw the light of day outside Japan. Nintendo has revealed Japan's 3DS game lineup for the coming months. The 3D handheld's release slate was revealed by company president Satoru Iwata during a Nintendo Direct presentation streamed on the firm's official website, which was re-broadcast with English subtitles an hour later. First up is Kid Icarus: Uprising, which will be released on March 23. 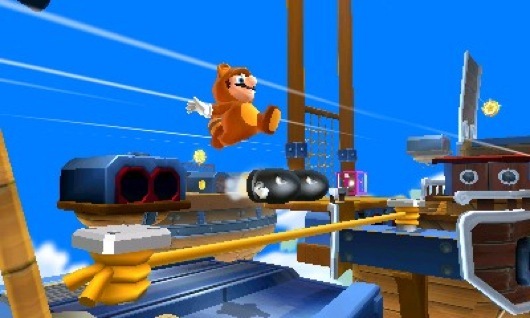 Design lead Masahiro Sakurai showed off the game's multiplayer modes and went into detail on the game's various mechanics and systems - of which there were plenty. Also due in March is Kingdom Hearts 3D: Dream Drop Distance. A new Fire Emblem from Intelligent Systems will be released on April 19, with cel-shaded visuals from Yosuke Kozaki. It's still without a final name, but Iwata did confirm post-release DLC "aimed at people who want to keep playing the game at a deeper level". The first pack will be free to download for a limited time. Mario Tennis Open will be released on May 24 in Japan and, unusually for Nintendo, the following day in Europe. It features online multiplayer and leaderboards, and avatar customisation. Atlus' Etrian Odyssey IV will be released on July 5. Iwata briefly teased a "mysterious crossover" between Capcom, Namco and Sega, to be published by Namco Bandai, saying: "I'm afraid you'll have to wait to find out what kind of game it will be." Attention then turned to the upcoming eShop games, including a new Culdcept game, which is due in June, and Calciobit, a football management sim with a clever twist on standard online multiplayer; you have to beat opponents in your local area before you can compete nationally. Denpa Ningen No RPG tasks players to use the 3DS AR features to find the titular Ningen - impish creatures with angry human faces - and have them face off in a Dragon Quest-style battle system. It's developed by Nintendo subsidiary Genius Sorority. Also announced was The Rolling Western, a thirdperson action game in which you control an armadillo in the wild west, developed by Vanpool, previously responsible for the Tingle games. And it shows: Iwata admitted it looked "slightly unusual." Even more unusual is the release date: it was available on the eShop the minute the presentation finished, in Japan, the US and Europe. It all goes to show that Nintendo is intent on fulfilling Iwata's promise that 3DS releases would not be spread as thinly in 2012 as they were last year. It's also heartening to see the company taking a commendable approach to communicating with its customers, not just in Japan, but worldwide; Reggie Fils-Aime will host a US presentation later on today. Nintendo has announced a new game of brain training exercises starring Dr Kawashima, to be released in Japan this summer. The game was announced by company president Satoru Iwata in a Nintendo Direct briefing earlier today. Speaking from a sound studio in the bowels of Nintendo's Kyoto HQ, Iwata recalled that he first met Dr Kawashima on the day DS launched in Japan, showing him a prototype that would eventually become Brain Training. "We agreed that if we were to make another game it would only be when we had some kind of special new idea for it," Iwata said. "And for this reason, six years have passed. However, brain science has continued to progress, and three years ago, Dr Kawashima came to me with new brain science." The new game will feature two types of brain exercises. The first, concentration, is aimed at improving players' ability to focus on a task without getting distracted. "We now have access to information wherever and whenever we want," Iwata explained. "Since we now rely so much on these devices we might have stopped using our brains so much, lost our restraint, our ability to control ourselves and be patient. Dr Kawashima calls this 'information addiction'." The second type is working memory, which Iwata said "may be a term you are not quite so familiar with. It's the system where information that enters your brain is held temporarily as it is manipulated and used." These tests will be a serious challenge - so serious that Dr Kawashima takes the form of a demon throughout. Difficulty will scale according to player ability, and Kawashima was insistent that players be prevented from repeating the exercises too many times, which would dilute their effect. No final name or release date were announced, though Iwata said the game would launch in Japan this summer. European plans are to be confirmed, but given the success of the DS originals a western release is surely inevitable. Japan's 3DS eShop is getting the NES classic, Metroid, next week on February 29. 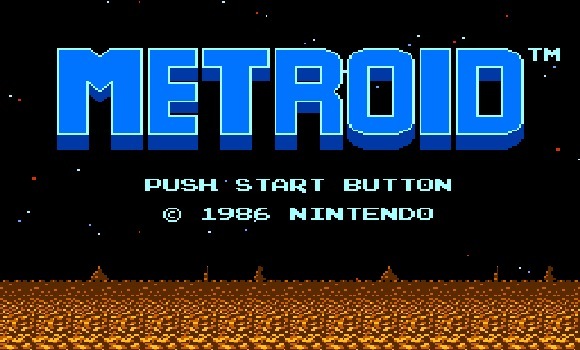 Metroid is one of many free NES titles available to qualifying 3DS Ambassador Program participants (i.e. early 3DS adopters). Everyone else will have to hand over ¥500 ($6) to navigate the deadly wilds of the planet Zebes once again. The 3DS is banging on all cylinders these days. While this morning's most intriguing development is still clouded in mystery, there's still quite a bit on the immediate horizon for people to be excited about, especially for our friends across the pond. Planning is essential when confronted with a lengthy list of potentially cash-worthy releases, so it's a good thing Nintendo has released an updated European 3DS release schedule, which you can check out after the break. It makes sense. More individuals are streaming Netflix on their consoles and, as of last summer, the Wii was used to stream Netflix most often. According to a report on AdWeek, Nintendo is working out deals with major content providers right now for the Wii's successor, the Wii U.
AdWeek's sources say that Nintendo is aiming for parity between video streaming and gaming, much like what Microsoft did with the latest version of the Xbox 360 Dashboard. Sources say Nintendo held meetings back at CES in Las Vegas focusing on sports and music -- one source in particular says that Nintendo is working with Comcast right now for cable distribution rights. It's all pretty forward-thinking stuff for Nintendo, if true. Nintendo president Satoru Iwata recently spoke about NFC payments and microtransactions on Wii U, showing an interest in broadening the system's financial model. The Wii U will launch by "the year-end season." Another gem unearthed from the Nintendo Direct event: Project Zero 2 (known as Fatal Frame 2 in the states) is headed to the Wii in Europe. We don't have many other details, the press release states rather simply that, along with Spirit Camera: The Cursed Memoir, Project Zero 2: Wii Edition "will be coming to Europe." The remake was announced for Japan back in 2010. The release doesn't specify whether the game will see a North American release as well. Spirit Camera, a Fatal Frame spinoff, has already beenconfirmed for North America, so hopefully we'll have a Fatal Frame 2 announcement before too long. And, uh, since we're on the subject, how about a little Fatal Frame 4, Nintendo? Pleeease? As part of the Nintendo Direct event, Nintendo has announced the surprise release of Dillon's Rolling Western, a new download for the 3DS eShop (first revealed at Nintendo Direct last year). The game stars the armadillo cowboy -- a cowboy who is also an armadillo, not an armadillo herder -- named Dillon, who defends poor towns in traditional gunslinger style. Except he doesn't use a gun at all, actually, preferring to roll his way to victory. Rolling Western features tower defense gameplay, in which Dillon must collect resources and repel the invasion of evil rock monsters -- monsters who are also rocks, that is, not Osbournes -- the Grocks. About that surprise release: it's today, a full day before the usual Thursday eShop update. You can snag Dillon's Rolling Western for $10. If you're still on the fence, we'll have a Portabliss on it later today. According to Nintendo of America head Reggie Fils-Aime himself, Xenoblade Chronicles will finally arrive in North America on April 6. Wait, but didn't that game already come out, like, two other times? Yes, friend, it totally did. 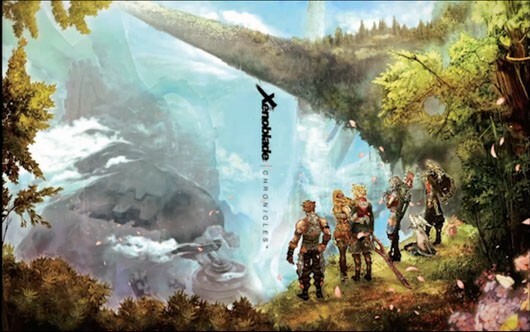 First, in Japan on June 10, 2010 as just "Xenoblade," then in Europe once more on August 19, 2011 with its current name. The April 6, 2012 North American launch will mark its third such launch. But hey, check out that incredible box art! The game's tumultuous journey from Japanese exclusivity to worldwide release has been a point of contention for classic console JRPG fans. 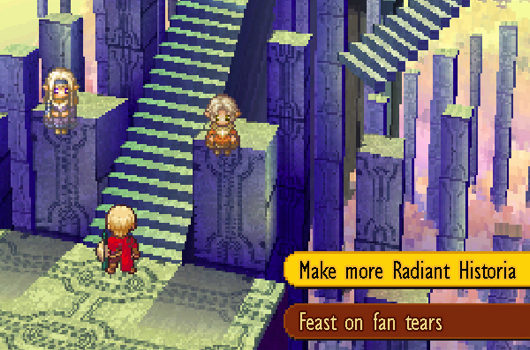 After a group formed online named "Operation Rainfall," various loud messages were voiced to Nintendo about a trio of JRPGs that were at the time unannounced for North America (The Last Story, Xenoblade Chronicles, and Pandora's Tower). All three titles have since been announced for release (or released) in other regions, though Pandora's Tower is still not planned for a US release. Of course, you could've been playing Xenoblade Chronicles all along by using our handy guide to making the EU version work on your North American Wii. But then you already knew that, right? 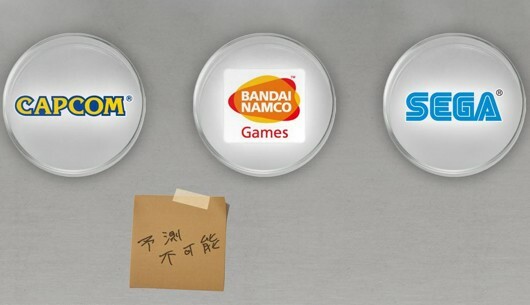 Nintendo CEO Satoru Iwata announced this morning a 3DS collaboration between publishers Capcom, Namco Bandai and Sega. The "impossible to predict" project also has a a teaser site. Street Fighter x Tekken x Sonic & Friends? The Nintendo Direct presentation from Nintendo of Japan brought news ofMario Tennis Open for 3DS, the latest entry in, you know, that series of games about Mario playing tennis. We learned that the sports game will feature online play and Mii customization -- and, most importantly, that it'll be available May 24. The European translation of the same video informed us that the game will be out on May 25. And now we wait for 9AM EST, and the American Nintendo Direct, for potential news of a stateside release. Update: Nintendo of America says Mario Tennis Open will arrive in North America on May 20. 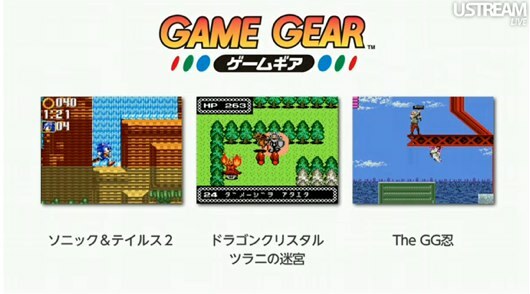 March 14 is the big day for Game Gear on Virtual Console, with a trio of titles headed to Japanese 3DS owners, Nintendo announced this morning. Unsurprisingly, Sega leads the lineup with three classics: Sonic (Sonic and Tails 2), Shinobi (GG Shinobi), and Dragon Crystal. The titles will cost ¥300 ($3.75) apiece, and no word was given as to when they'd head Stateside. 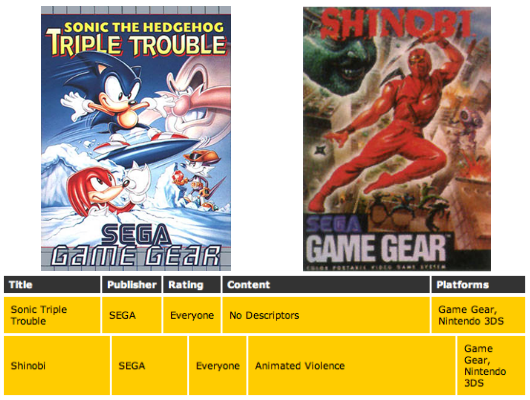 Of course, Sonic Triple Trouble and Shinobi were rated by the ESRB for 3DS back in February, and we were last told that Game Gear (as well as TurboGrafx-16) games would arrive on the handheld's Virtual Console store in "late May." So, uh, they're coming to North America, just not quite yet. We'll also venture a wild guess that Dragon Crystal will end up in the US as well. Sure, why not? Iwata slams Nikkei's "gossip magazine techniques"
Nintendo president Satoru Iwata has hit out at Japanese news outlet Nikkei for employing what he describes as "gossip magazine techniques." Earlier this week Nikkei's website ran a story which claimed Nintendo was looking to revive other publishers' back catalogues on 3DS, claiming oddball Dreamcast pet sim Seaman would be among the first. However, it also apparently attributed to Iwata a quote saying that, unless Nintendo changed its ways as a matter of urgency, it would collapse. Iwata took umbrage at this part of the article, and vented his spleen on Twitter. "On Monday there was an inaccurate report online," he wrote, according to Kotaku's translation. "This sort of thing has continued repeatedly, with no context, self-serving language, and the blurring of truth and fiction. "I'm astonished to see gossip magazine techniques being used." Kotaku points out, however, that Nintendo has a history of dismissing reports in the Japanese media that turn out to be broadly correct. And, given the obvious shifts in thinking at Nintendo following the poor launch of 3DS - a loss-making price cut and a reversed stance on DLC, to name but two - it's not impossible to imagine that Iwata might have said it, or something like it. This will be the first numbered sequel to a traditional Pokemon game; previous generations have consisted of two initial releases followed by a single, similarly-titled "enhanced" version: Pokemon Diamond and Pearl followed byPokemon Platinum, for instance. 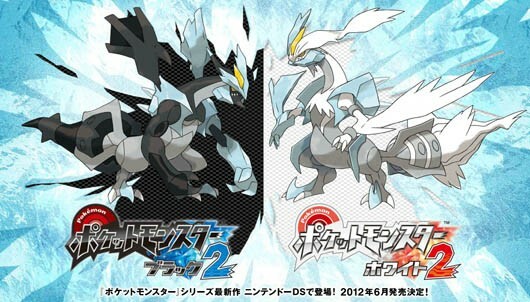 Now, however, we'll have Pokemon Black 2 andPokemon White 2. Whether this distinction is purely cosmetic or carries heavier gameplay implications, remains unclear. All we know for certain is that, by now, the PokeRap must be several hours long. HorvatM has released version 1.1 of his homebrew Shoot'Em Up "Soviet Union 2011". This release fixes the game to work better on hardware. It also fixes some gameplay bugs and adds new features. Sound now works on hardware. The background on the right screen now displays correctly on hardware. You can now change the brightness level. If your Virtual Boy has a glitchy display, lowering the brightness may reduce the severity of the glitches. To change the brightness, press left or right on the right D-pad on the mode selection screen or when the game is paused. When the game is over, the difficulty setting and mode of play are displayed to assist in submitting high scores. The readme file has been updated to include the number of bullets received by picking up ammunition for each weapon. Fixed a bug that prevented new enemies from appearing if there were too many enemies on-screen. This usually occured in level 4 and could make the game impossible to finish. Fixed unexpected behavior that occured when the game was finished. Vertically flying projectiles fired by enemies are now slower to make them easier to see and dodge. In endless mode, you are now given some more time to dodge the first enemy that appears. Detailed information about the game come bundled with the ROM. If you get a good score, be sure to submit it to the newly added highscore tables for the game! Good news for you homebrewers! 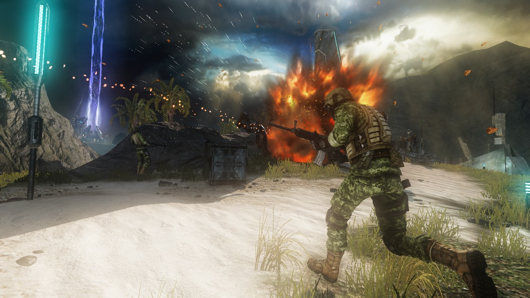 Shortly after the release of v1.1 of Soviet Strike 2011, HorvatM has released the sound engine used in the game, complete with a demo program that shows how to utilize the engine. This marks the first sound engine for the Virtual Boy that has been made available for other developers to use and easily add sound to their projects. The engine has already been successfully incorporated into Insecticide shortly after it release. So, what are you waiting for? dj_skual updates its backups manager dedicated to the Wii. Compiled with the latest versions of NTFS and UNEEKFS libraries, it also adds the management of virtual NAND (it will be launched from NAND real for that) and fixes several bugs reported by users. Extend command argument count to 64. Assimilate from Nessylum Games is an original side-scrolling NES Homebrew influenced by the early NES arcade ports. The game is being released on an actual cart, the pre-sale for which has already started. The developer has promised that a ROM will be released precisely 6 months after the 1st cart has shipped. The ROM will lack 1 secret bonus stage and have different ending credits. Keep an eye on this project! A Warewolf Tale is a new Homebrew from the developer of the puzzle game Holy Hell. The developer describes the game as a "beat'm up and a platform-puzzle game ala solomon's key." The game engine can currently handle 90 enemies at once, without slowdown. Check the Homepage link below for more information. A few weeks ago a prototype build of Resident Evil for the GBC was released. This build has various issues that make it impossible to reach the final room without hacking. On the 14th a patch was released which fixes some of the more serious issues. Keep in mind that no final sequence was ever coded, so while this patch will allow you to reach the final areas it is impossible to win the game. Check the project post link below for more information and a download. postLoader3, made by GBAtemp member stfour, has been updated to version 3.67.0. This versatile Wii application is to be used in conjunction with Priiloader or as a standard app, as an alternative to the Homebrew Channel and/or system menu. It has support for launching Wii games, GameCube games via DML, and VC/Wiiware titles from real or emulated NAND. See what's new in this version in the spoiler below, and be sure to join in the on-going discussion for more information about this homebrew project and the latest off-site download. dml: fixed the bug that could prevent displaying of games on more than one disc (from usb only)..
postloader forwarder channel updated to v4. First version of SNES emulator from the author of no$ series of emulators have been released. spectrenoir06 offers version 1.4 and 1.5 of " Diamond ", puzzler / sokoban like for the Nintendo DS, in which you must bring the diamonds on their bases to complete the level. Thurs coded in lua, requires the latest version of the interpreter MicroLua DS to work. LS offers version 1.2 of " Snake "now passing" Snakey ", adaptation of the snake game for the Nintendo Wii. moldfire offers version 1.1 of " Japanese Flashcards "utility learning Japanese (Hiragana) for the Nintendo DS. Hey there people. This is just a simple flashcard progam I am working on. Markus95 offers version 1.0 of the " Mod Saint Seiya ", this is a mod for Knights of the Zodiac engine fighting game / Beat them all PainTown on the Nintendo Wii. Just a reminder, Paintown is developed and adapted by Jon Rafkind Juviwork on Wii, it is a question of a beat 'em all to the old style of Street of Rage or Double Dragon else to mention that they .. . My Mod is dedicated to one of my favorite manga Saint Seiya (Knights of the Zodiac). This is no more than a first version, far from being finished, but already well supplied ... I have together the bulk of the manga, trying to be as faithful to the work of the great original Masami Kurumada who sadly left us recently ... (Rest his soul ...) I have therefore taken the broad outlines of this fabulous manga, my Mod starts early and ends it at the end of the period of the Sanctuary (which for me is the best part of the work of the master ...) It contains (for now): - 11 + a training tutorial courses - 22 playable characters - select a course - The original music (mixed by myself) - Voices "official" in French - and all the latest news from Paintown Being the first version, it is not complete, some characters have not all their techniques, some courses are not finalized and you may encounter some bugs .. . (thank you for the reports that I corrected for the next release ...) Known Bugs: - After a game over, you will need to restart Paintown, if the loading of courses will not ... - The display off-center placement of select ... Installation: - Unzip the archive - Copy the contents of the archive in apps / Paintown / ... on your SD - Starting the game from the homebrew channel - Select Change Mod, then saintseiya. Mupen64Plus 20120226 is compiled. Mupen64Plus is a N64 emulator and plugins for Linux, Mac OSX, and FreeBSD. Mupen64Plus is a plugin-based N64 emulator for Linux which is capable of accurately playing many games. Included are four MIPS R4300 CPU emulators, with dynamic recompilers for 32-bit x86 and 64-bit amd64 systems, and necessary plugins for audio, graphical rendering (RDP), signal co-processor (RSP), and input. There are 3 OpenGL video plugins included: glN64, RiceVideoLinux, and Glide64. Fceux SVN r2417 is compiled. FCEUX is a cross platform, NTSC and PAL Famicom/NES emulator that is an evolution of the original FCE Ultra emulator. Over time FCE Ultra had separated into many separate branches. The concept behind FCEUX is to merge elements from FCE Ultra, FCEU rerecording, FCEUXD, FCEUXDSP, and FCEU-mm into a single branch of FCEU. As the X implies, it is an all-encompassing FCEU emulator that gives the best of all worlds for the general player, the ROM-hacking community, and the Tool-Assisted Speedrun Community. Dolphin Git 3.0-427 is compiled. This is the trunk of Dolphin Project. Dolphin is the first Gamecube emulator able to run commercial games! Dolphin is a great Gamecube(NGC) and Wii emulator. It has a partial Wii support and plays most Gamecube games. Dolphin has been changed SVN to Git recently. * PixelShaderGen: Fix a bug introduced in revision 9adc119e3c2f. D3D11: Fix shader constant mapping. DeSmuME SVN r4189 is compiled. DeSmuME is an open source Nintendo DS(NDS) emulator for Linux, Mac OS and Windows. DeSmuME supports save states, the ability to increase the size of the screen and it supports filters to improve image quality. DeSmuME also supports microphone use on Windows and Linux ports, as well as direct video and audio recording. The emulator also features a built-in movie recorder. MoarNES v0.12.2.22 alpha is released. New-ish NES emulator, MoarNES, has a new release. MoarNES is a fairly new NES emulator which is about average at the moment, but has been getting better very fast. Due to it's rapid progress, it's likely one to keep an eye on. Sequels to Pokémon Black and White have been announced for Nintendo's ageing DS. The news comes from Andriasang, which reports that Game Freak's Pokémon game director Junichi Mashida announced the games - named Pokémon Black 2 and Pokémon White 2 - on Japanese TV show Pokémon Smash yesterday. It's a departure for the series, which normally takes a new colour as a subtitle rather than a numbered sequel to the previous game. Both games will be released simultaneously in Japan in June, and are of course playable on 3DS as well as DS. Controversial US analyst Michael Pachter has reiterated his assertion that Nintendo “is in disarray”. He initially made the claim during a speech at the Ayzenberg A-List Summit 2012. Following the predictable outrage on games forum Neogaf Pachter chimed in to defend his remarks. 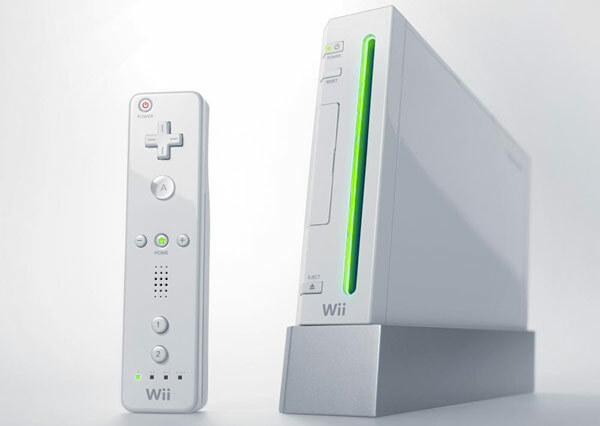 “I believe (and please feel free to disagree) that a large portion of the Wii audience comprised casual gamers – those who bought one or two games a year the first two years, then put the Wii aside – and that those casual gamers moved on to another platform,” he wrote. “At the same time, I believe (again, please feel free to disagree) that the growth of smart phones and tablets has attracted many potential dedicated handheld game customers, and these people also are unlikely to come back to either 3DS or PS Vita. “I think the addressable market for the Wii U is around half of the market for the Wii, and I think Microsoft and Sony will compete for a portion of that market if the Wii U is priced too high. I think that the dedicated handheld market is permanently impacted by smart phones and tablets, and think that Nintendo's addressable market is probably also half of its former market. “Nintendo is in disarray because they waited too long to launch the Wii U. They should have, and because they didn't, the decline in Wii and DS hardware and software sales drove them into generating losses. Nintendo's harsh 40MB restriction on games for the WiiWare service is "horrible", says Team Meat's Tommy Refenes, but the 3DS' eShop is "reasonable". The restriction for 3DS eShop games is 2GBs, the Super Meat Boy developer revealed, which would easily accommodate even games released at retail, should Nintendo choose to do so. "[WiiWare's] 40MB is horrible, but [3DS's] 2GB is reasonable," Refenes told Nintendo Gamer magazine (via Nintendo Everything). "Super Meat Boy would have been on WiiWare if we could have had just a few more megabytes of space - you can only compress stuff so much before you have to start cutting out huge parts of your game. Unfortunately, at that point, it just isn't worth the time," he added. Refenes went on to say the developer is looking at Wii U development. "If we can in the future, we'd like our next game to be on Wii U as well as everything else," he said. The developer announced recently that a new Super Meat Boy game built for touch screen devices is in the works. Blanka, you've won a crossword competition! Collect £100 and pass the dice will you, pet?" Capcom has announced that USAopoly is working on a Street Fighter themed version of property and finance board game Monopoly. It’s such an obvious match MCV is staggered the concept has taken to long to come to fruition. We jest, of course. This looks fantastic, and furthermore fans of the series are being offered the chance to choose the six characters from the game who will eventually be turned into playable pieces for the game. The 12 faces still in the running are cheeky chappies Ryu and Ken, Chun Li, Blanka, Guile, porky funnyman E Honda, the Riker-like Zangief, Dhalsim, Balrgo, Vega, Sagat and uniform fetishist M Bison. Ryu, Chun Li, Zangief and M Bison currently lead the race. For goodness sake do the right thing and get on there and vote for Dhalsim. "Enter the world of one of the best selling video game franchises of all time in this special Street Fighter Collector’s Edition of Monopoly,” the blurb reads. “Buy, sell and trade locations associated with the most iconic characters over 25 years such as Makoto in the Karate Dojo, Ryu on the Rooftops of Japan and Major Bison in the Shadaloo Headquarters." Researchers at the Baylor College of Medicine have released a report on the impact of active video games on healthy children's physical activity. The results show consistent engagement by study participants (children 9-12 years of age) in games such as Wii Fit Plus and EA Sports Active yield little to no health benefit versus participants who played inactive video games. "Our study indicates that there's no public health benefit from having those active video games," Dr Tom Baranowski explained toReuters Health. Baranowski, a researcher at the Children’s Nutrition Research Center in Houston, expressed surprise at the results. "We expected that playing the video games would in fact lead to a substantial increase in physical activity in the children. Frankly we were shocked by the complete lack of difference." Baranowski said his team couldn't figure if the participants just didn't end up exerting much energy playing the active games, or if they compensated for exercise they got playing Wii with less exercise at other times throughout the day. The study tracked 78 participants over 13 weeks. Tomorrow's 3DS eShop update will contain two classic NES titles to download, the original Mario and boxing sim Punch-Out!! Both cost £4.50 or €5 each.A free demo of Mario & Sonic London 2012 Olympic Games demo and kids "edutainment" title Lola's Alphabet Train will also be available.And a month of meaty Virtual Console release is scheduled to follow, Nintendo promised. This includes the original NES Metroid game, already released last year for 3DS Ambassadors.Classic puzzler Dr. Mario and angelic Game Boy title Kid Icarus: Of Myths and Monsters are also on the way. The latter will presumably tie in with new 3DS game Kid Icarus: Uprising - that arrives 23rd March.Sega Game Gear titles will also finally start to arrive, the first time non-Nintendo games will grace the 3DS Virtual Console service. Dragon Crystal, Shinobi and Sonic the Hedgehog: Triple Trouble will spearhead the new range.March will also bring a number of Virtual Console releases for Wii owners, too. Downloadable versions of Mega Man X, Mega Man 5, Strider and Samurai Shodown IV: Amakusa's Revenge are coming.Super Street Fighter 2 is also planned for re-release. It will be the first Virtual Console title to feature online play. If you ever needed proof that you can never keep a good console down, here it is: Super Fighter Team, a small developer and publisher based in California, will be releasing new game Nightmare Busters for the Super Nintendo Entertainment System next year. Yes, that's a new title for a system released 22 years ago, and the first new game released for SNES since 1998.According to the game's official site, Nightmare Busters is a "masterful run and gun game." There's nothing more beyond that description, but Super Fighter Team expects to release more details shortly. Due to pricey production costs the game will set North American customers back $68 and international ones $75. The initial run of Nightmare Busters is limited to 600 copies. It'll be region-free, so if you're up for a spending a little quality time with your SNES you can pre-order it now. In other Nintendo news, the platform holder has teased 3DS owners with the prospect of new Zelda games in the near future.